Art Jewelry Elements Earring Challenge Reveal #7! I am finally caught up with this challenge! Woohoo! Life was incredibly crazy in March, but I was finally able to find some time to work on some new earrings using my own lampwork and some ceramic beads from Diana Ptaszynski of Suburban Girl Beads. So let's see what I came up with! Here are simple silver hoops with Diana's ceramic drops. Love these for their simplicity and their movement! 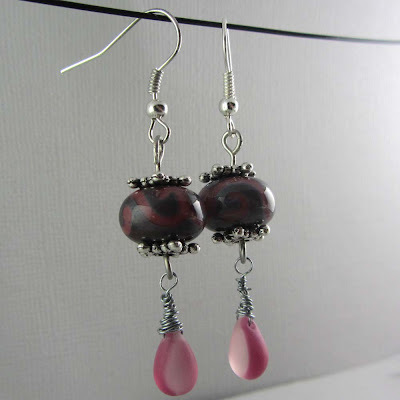 Next, a pair of my lampwork beads, with some wire-wrapped glass briolettes. 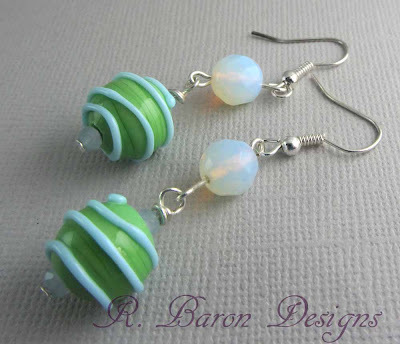 Fun spiraled lampwork, pair with opalite, one of my favorite beads! Click the picture to go to the Etsy listing! Love this pair a LOT! 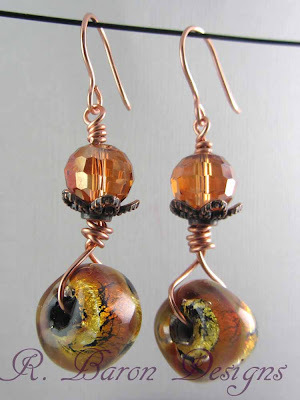 My lampwork, gorgeous peachy-amber crystals, and handformed copper ear wires. 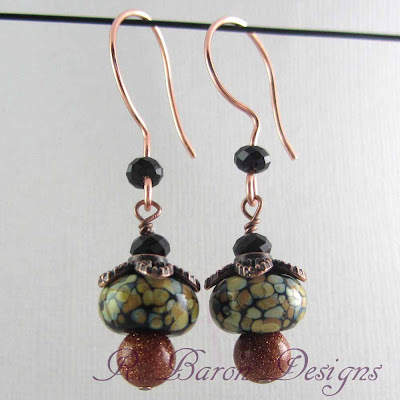 Finally, a simple pair of mosaic-look beads in all sorts of neutral shades, paired with goldstone and more copper. Please be sure to check the rest of the entries for the challenge by clicking on the thumbnails below! 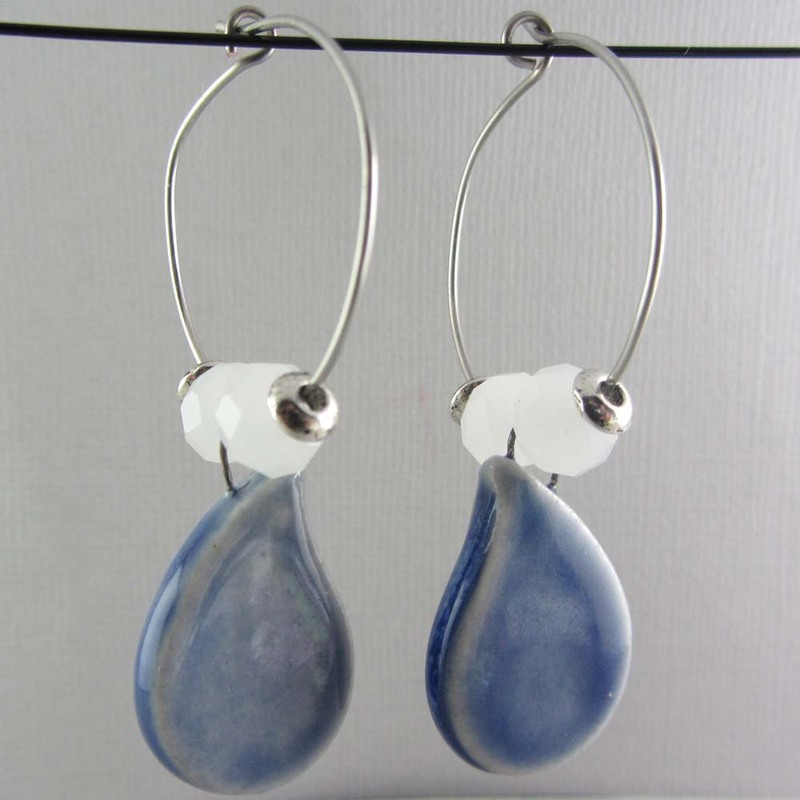 I've always wanted to do *something* creative--whether it be writing, drawing, painting when I was younger, or melting glass and putting together jewelry as I grew older. And for most of my life, I have been doing one or more of these things at any given time. 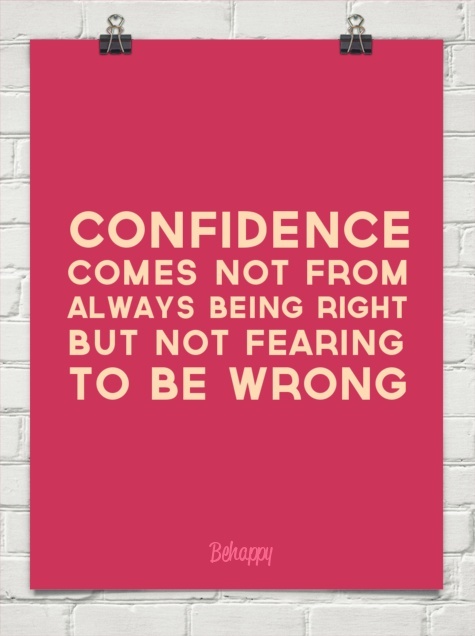 What I haven't done, and still struggle with, it my ability to believe. 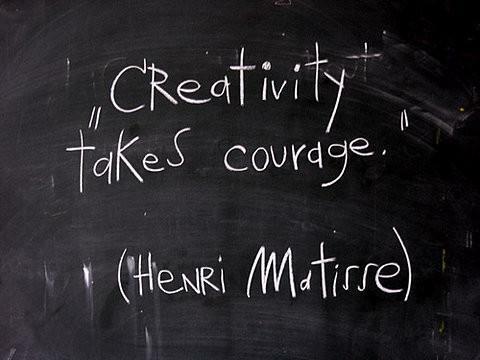 When I was young, my grandmother told me that an artist has a natural talent--a gift that is just given to them. She didn't tell me anything about the hard work that goes into bring a vision to life. She didn't tell me that one must study a craft and know the rules in order to really break free of them and innovate. She didn't tell me that failure is to be expected on a daily basis; nor that this "failure" was the fun of experimentation as much as it was the frustration of defeat. So, as a young girl, because I couldn't draw as well as she could, I declared the artist in me dead. 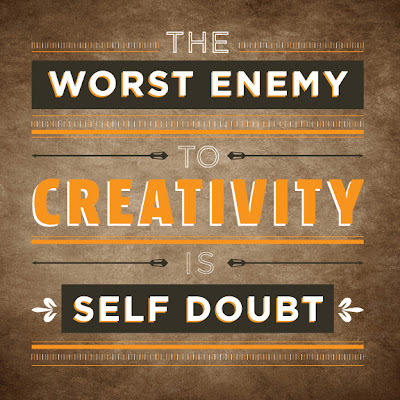 I gave up my ability to believe that I could be creative and talented. I allowed fear and self-doubt to undermine my creativity. When I was in school, I was encouraged by some teachers that I was a good writer. So I latched onto that piece, and it came easily for me. So I thought my grandmother's words to be true: writing was my talent, it came easy, that's what I could do, and all I could do, in terms of creativity. Sadly, the art teachers I had did little to recognize my enthusiasm and saved their effusive praise for those students who had the natural flair for reproducing what the eyes see. It never occurred to me, at any time, that if I worked harder, I would be able to produce something beautiful. I just assumed I couldn't. I still struggle with this false reality that was constructed when I was small. As an adult, I constantly find myself drawn to people who are artistic and creative. I feel like an outsider to their "world" but I can't stay away. I envy what appears to be their ability to live and breathe creativity, while I wonder if they will know that I don't belong in their mix. Then last week, something happened. I was working on a simple necklace for a bead challenge. Nothing earth shattering in terms of artistic achievement, I know. But I had a vision for how I wanted the pendant to look...and it didn't work the first time I wrapped the wires. But this time, I didn't give up. I had an idea of what *might* work, and decided to give it a try. So unbelievably modest of a design, so unbelievably powerful of a moment. And I have rarely been so proud of myself as I was for not giving up on that silly little pendant. It finally clicked in my brain, really clicked, that if I push the fear and self-doubt that always creeps in when something doesn't work the first time, I get to try again. And that's OK. The fact that I have to try 5 different approaches to make an idea work doesn't mean that I am a talentless hack with no creativity. Instead, I'm a pretty damn creative chick who can come up with way more than one way to approach a problem. I'm hoping my brain remains in this mode. 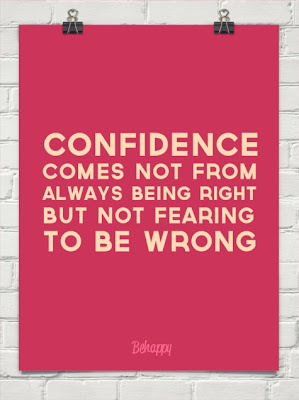 It's so easy to doubt ourselves, especially when those seeds have had the ability to take root for years. But an attentive gardener can clean out the weeds that are choking out the beauty...so now, I will add "gardener" to the list of of my creative abilities.